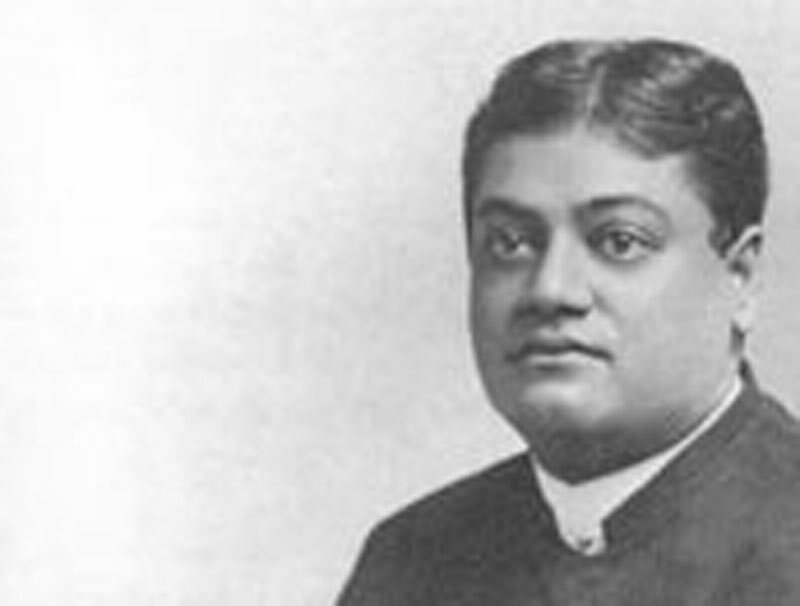 Dr. Brajendranath Seal was Swami Vivekananda's classmate and friend. Sir Brajendra Nath Seal KCIE (Bengali: ব্রজেন্দ্রনাথ শীল) (1864–1938) was a renowned Bengali Indian humanist philosopher. He was one of the greatest original thinkers of the Brahmo Samaj and did work in comparative religion and on the philosophy of science. He systematized the humanism of the Brahmo philosophical thought. In his work, he underscored the tectonic shift in Brahmo theology in the late eighteenth century from liberal theism to secular humanism. Like his better known ideological precursor Ishwar Chandra Vidyasagar, Seal was an educator, a firm believer in the cause of rationalism and scientific enquiry , a polymath in his own right and yet at the same time a preacher of humanism as a religious doctrine (as opposed to organized religion). He was born in Calcutta in 1864. His father Mohendranath Seal was one of the earliest followers of Comtean positivism in Bengal. As a student of philosophy at the General Assembly's Institution (now Scottish Church College, Calcutta), he became attracted to Brahmo theology. And along with his better known classmate and friend Narendranath Dutta, the future Swami Vivekananda, he regularly attended meetings of the Sadharan Brahmo Samaj. Later they would part ways with Dutta aligning himself with Keshub Chunder Sen's New Dispensation (and later on to found his own religious movement, the Ramakrishna Mission) and Seal staying on as an initiated member. During this time spent together, both Seal and Dutta sought to understand the intricacies of faith, progress and spiritual insight into the works of John Stuart Mill, Auguste Comte, Herbert Spencer and G.W.F. Hegel. Seal had a natural aptitude for mathematics and logic. He earned his M.A. degree in philosophy from the University of Calcutta in 1884 and started out as a lecturer at the City College, Calcutta. Although he had started out as college lecturer, his deep insatiable thirst for knowledge, coupled with financial constraints made him shift from one college to another (the colleges where Seal taught include Morris College, Nagpur and Krishnanath College, Berhampur). During the time period 1883 to 1907, he composed his first major work New Essays in Criticism, in which he applied Hegelian dialectics to literary criticism. Although he was an ardent admirer of English Romanticism and Romantic literature in particular, his work reveals him to be an early precursor of the school of logical positivism. In 1915, he earned his doctorate from the University of Calcutta on the subject of The Positive Sciences of the Ancient Hindus. In 1896, Maharaja Nripendra Narayan Bhupa Bahadur, the son-in-law of Keshub Chunder Sen offered him the post of a principal of the newly established Victoria College in Cooch Behar. With a certain level of financial security assured, Seal finished his New Essays in Criticism and also composed an epic poem called Quest Eternal that traced his intellectual and philosophical odyssey. His further studies on ancient Hindu scientific philosophy led him to contribute a chapter in Prafulla Chandra Roy's History of Chemistry in Ancient India. His publications were noticed abroad and in 1902, his candidacy was seriously considered for a professorship in philosophy at the University of Cambridge. The financial support provided by the Maharaja helped Seal to visit Europe in 1899, 1906 and 1911. In 1906, Seal addressed the International Congress of Orientalists in Rome and in 1911, the First Universal Race Congress in London. In 1911, while in London, the sudden death of his patron, the Maharaja, and subsequent withdrawal of financial support for his cultural and comparative-historical studies forced him to quit his job and reconsider his philosophical beliefs. During this phase, he underwent a transformation from being a believer of Brahmo rationalist doctrine to being a spiritual humanist. His analysis on the Comparative Studies in Vaishnavism and Christianity (1912) expresses the urge to break free from the hegemony of method as applicable in Eurocentric academic enquiry (as in disciplines like Indology and anthropology) and instead focus on comparative methodology, that would be largely immune to any possible colonialist bias. In this, Seal was motivated not merely as a recipient of orientalist hegemony in the academia, or as a counter cultural or for that matter, as a cultural nationalist response to imperialist discourse, as he was due so a more profound love for rationalist spirit of enquiry, albeit in a colonial context. For he was a rational humanist first, and a cultural nationalist much later. After his resignation from Victoria College, he was offered the most prestigious chair of philosophy in India, the King George V professorship of philosophy at the University of Calcutta (other holders of this chair include Professor Sarvepalli Radhakrishnan among others). He used this period (1913-1921) to travel extensively, give lectures, publish books and philosophical tracts and support the efforts of Vice Chancellor Sir Ashutosh Mukherjee to make the University of Calcutta one of the best known seats of learning to the east of Suez. His scholarly contribution was recognized again with the award of an Honorary doctorate (Doctor of Science) from the University of Calcutta, on Dec 17, 1921. He helped Nobel laureate Rabindranath Tagore in founding the Visva-Bharati University on December 22, 1921. By virtue of being India's leading scholar on philosophy and comparative-historical studies and its first Western visiting scholar, Seal was honored as the first Chancellor of that university. 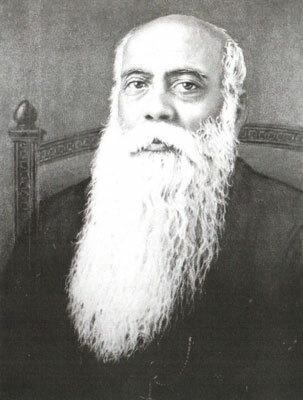 During the same time, he was also appointed the Vice Chancellor of the University of Mysore, a position he held till 1930, when ill health forced him to retire. In 1926, the government of British India knighted him. During his stay in Mysore, he authored a textbook of Indian philosophy and a biography of Raja Rammohun Roy. After retirement, and notwithstanding his general physical deterioration and failing eyesight, he achieved the grand finale of his long philosophical journey. In 1936, when he was bedridden and blind , he finished his magnum opus called Quest Eternal, which is one of the few modern Indian epics on the theme of the Faustian man in search of the reason for human existence. The conditions in which he wrote parallels that of the English poet John Milton when he wrote his Paradise Lost. The Faustian urge of this brilliant mind to find the meaning of life is at once an existential quest as a Modernist one. Although Seal was writing as a subject of the imperialist enterprise, and not as a party to it, it could be argued that he was a Modernist and an existentialist without his knowing it.